And Dr. Pamela Louderback has been elected to the Vice-President position of KIPA (the Knowledge and Information Professionals Association). In addition, Dr. Louderback has also been appointed to the Information Outlook Advisory Council of the Special Libraries Association (SLA) as well as elected to the President-Elect position of the Oklahoma Chapter of SLA! Check Out Our New Displays! If you haven’t been by the library building lately (BALB), you may want to swing by to check out our new displays. 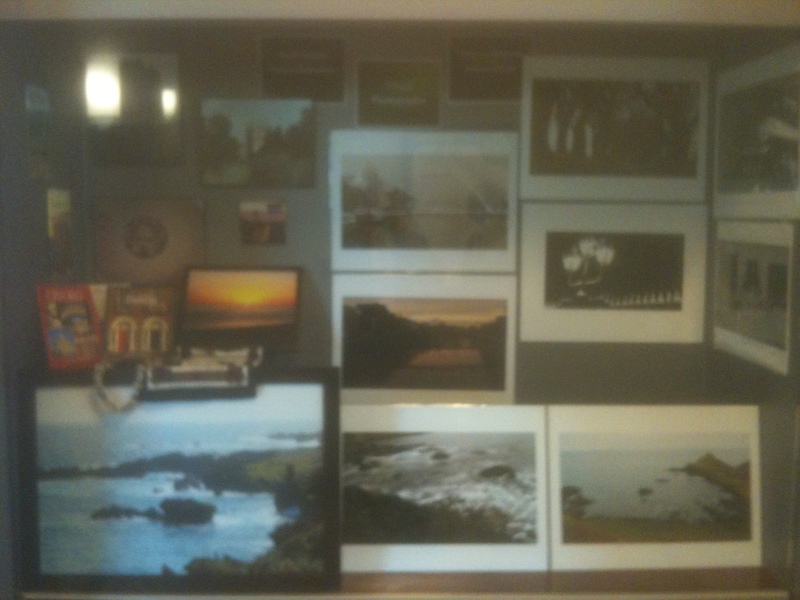 We have a huge display case on each floor just outside the library (as you go toward the Liberal Arts building — BALA). 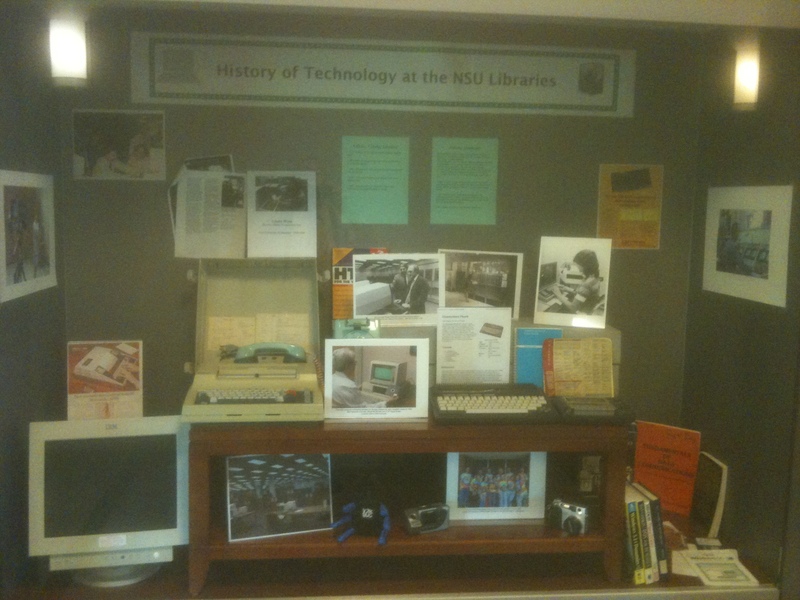 In the downstairs display we have the “History of Technology at the NSU Libraries.” Come take a nostalgic trip down memory lane . . . do you remember using similar equipment? On the second floor, we have a display of “Travel Photography.” Included in this display are the photographs (from assorted destinations) of NSU’s Interim Executive Director, Paula Setton, as well as the photos of Kateri Louderback (from Ireland and the UK) Kateri is the daughter of Dr. Pamela Louderback, Assistant Professor and Information Services Librarian. These are some great pictures. Here is the official announcement from Provost Tadlock regarding this year’s “Circle of Excellence Award” nominees. Included in the list is one of the library’s own Fulbright Scholars: Dr. Pamela Louderback (for research). Way to go Pamela! Congratulations on your nomination! The following faculty have been nominated for Circle of Excellence recognition this year. As you know, NSU’s Circle of Excellence program recognizes faculty who are nominated by their colleagues as exemplary contributors to the areas of teaching, research, and service. Please join us in congratulating them on their nomination. A faculty committee will review portfolios for each nominee and select finalists who will be recognized at the annual awards ceremony this spring. The following faculty from the College of Liberal Arts have been nominated by their peers to become a member of the NSU Faculty Circle of Excellence. The following faculty from the Library has been nominated by her peers to become a member of the NSU Faculty Circle of Excellence. The following faculty from the College of Education have been nominated by their peers to become a member of the NSU Faculty Circle of Excellence. The following faculty from the College of Science & Health Professions have been nominated by their peers to become a member of the NSU Faculty Circle of Excellence. The following faculty from the College of Business & Technology have been nominated by their peers to become a member of the NSU Faculty Circle of Excellence. It’s official! Dr. Louderback has been promoted to Assistant Professor, AND has been transitioned to a tenure-track position. Congratulations Dr. Louderback. Let’s start building that faculty file immediately!